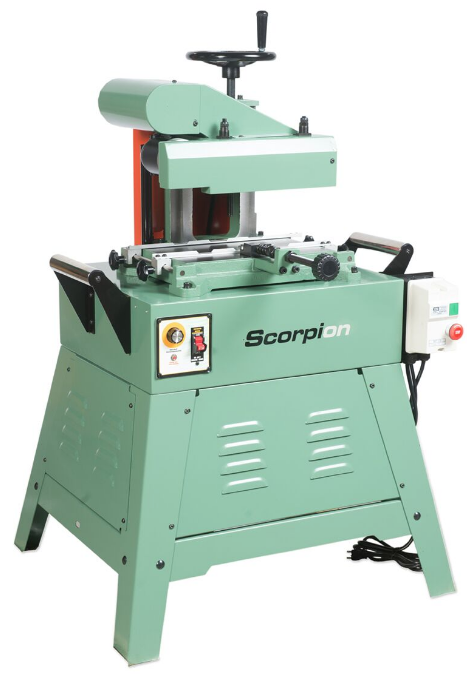 Scorpion jointers, thickness planers and combination machines are built by CWI Woodworking Technologies to be best in class machinery with the features, performance and quality that serious woodworkers are looking for whether in the hobby, educational or industrial woodworking industries. You will find our machines to have more cast iron, better cutters, easier adjustments, longer tables and superior quality to all competitors. The CWI-P0207 7” molder/planer is a very unique machine built as an economical option for customers who wish to make a lot of moldings for windows, doors, cabinets, furniture or any other profiled wood parts. The advantage of a machine like this is the ability to perform many different profiles with inexpensive knife changes versus a shaper or router table as well as being able to profile curved pieces of wood. With the supplied 7” HSS knives the P0207 can also be used as a small thickness planer. The P0207 comes standard with a single phase power 2 HP 220/1/60 cutter head motor as well as a small variable speed motor that independently operates the speed of feed from 3 to 20 feet per minute. For larger more intricate profiles the very slow speeds come in very handy. Also an advantage to get the perfect speed for difficult woods whether soft or hard. The upper cast iron housing which incorporates the cutter head is supported by a very heavy dovetailed cast iron dual column design to ensure strong support and accuracy of cut. A large hand wheel worm drive system raises and lowers the housing for height settings from ¼” to 8” work piece thickness capacities. The machine can cut a maximum of 1/8” depth of cut on up to 7” wide flat stock as well as up ¾” of stock removal on up to 6 ¾”wide profiled stock. Users can purchase flat knife stock to machine their own profiles at a typical saw sharpening shop or can purchase a variety of standard profile knives. 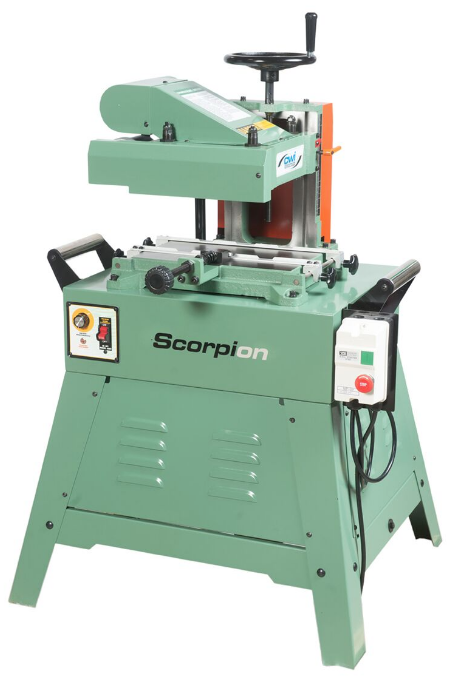 The Scorpion CWI-P0207 7” molder/planer is a very handy machine at an affordable value with the quality and features needed for great woodworking performance.